This three day program has been designed for CFOs and Finance Directors to explore their ever widening role and to examine some of the areas that are not part of the routine training for senior finance professionals, who frequently progress through a technical accounting or other financial discipline route. The program will explore the position of the CFO & Finance Director in the wider business or organizational context, providing frameworks to assess the financial components of strategy as well as exploring what that means for reporting as well as areas such as acquisitions and valuations which many CFOs or FDs only encounter rarely. Success as a CFO or Finance Director is rarely determined by technical ability. Mastery of the technical aspects of finance is taken as a given; what makes the difference is the ability to operate in areas where there is no right answer. This could be strategy or establishing good working relationships with board colleagues from other functions or dealing with conflicts between stakeholders. For the newly appointed or aspiring CFO / FD, this course will give a clear road map of the journey ahead, and an introduction to the full range of skills they will need to succeed. For the established CFO or FD, it will offer advanced techniques, interaction with peers and a range of ways in which they can expand their role to increase the value they bring to their organisation. On the first day we establish the context for the CFO by understanding what strategy is and how this influences financial targets. We also look at governance and how this links to strategic objectives. On day two, we will look more closely at designing the financial elements of strategy but then also how to be effective as a CFO. Specifically, we consider how reporting can both help and hinder influencing the organisation before looking at personal relationships at the board and in the senior team – including dealing with difficult directors. On day three, we will look at corporate finance in more detail as well as understanding how to value businesses and some of the tactical issues in making acquisitions. The Course will be delivered by Dr Lance Moir. 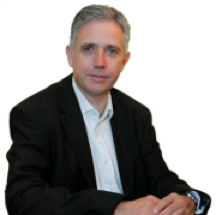 Lance has over 30 years financial experience as CFO, Corporate Financier and Treasurer in international companies. He had been CFO of WIN plc and Executive Director of IMImobile, Group Finance Director of First Choice Holidays PLC, Director of Corporate Finance at Bass PLC and Head of Corporate Finance and Strategy at Storehouse PLC. He currently has a portfolio career as Company Chairman, adviser, Non-Executive Director and management educator. He is a Visiting Professor at Cranfield School of Management, where he was on the full time faculty, and was a Non-Executive Director and Chair of the Audit Committee of Henderson Global Trust PLC. Lance is currently Chairman of three different businesses and invests in a number of early stage businesses. He has a PhD from Cranfield and has published in a number of academic journals including The Journal of Business Ethics; Corporate Governance –The International Journal of Business and Society, Accounting and Business Research. He is the author of Managing Liquidity and a number of book chapters. He is a fellow of the Association of Corporate Treasurers, where he was a member of council and a Fellow of the Royal Society of Arts.